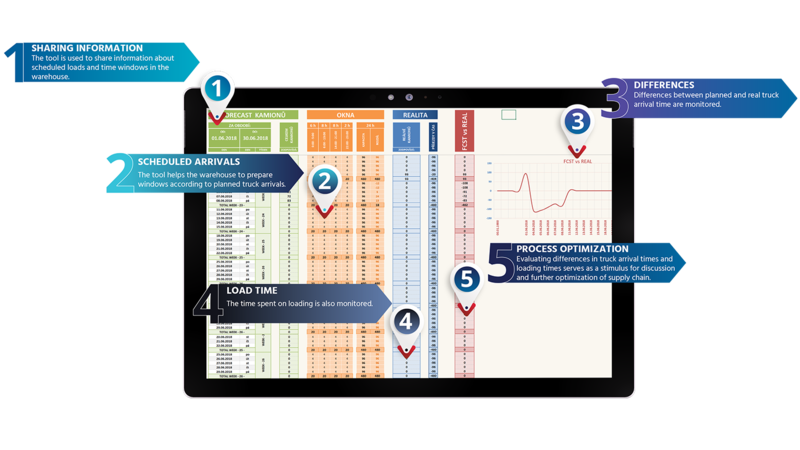 Arrivals and Loadings Evaluation Tool helps ensure smooth loading and unloading operations in warehouses. It also monitors late arrivals of trucks and helps facilitate communication between dispatchers and warehouses. Ideally, each scheduled truck is loaded or unloaded exactly at time that the dispatchers had planned. In such case the warehouse has an open ramp for the truck and can unload it or load it in the shortest possible time. In reality, there are delays. Both due to late arrivals of trucks and due to lack of preparation in the warehouse. During high season the delays can present a threat to service level. 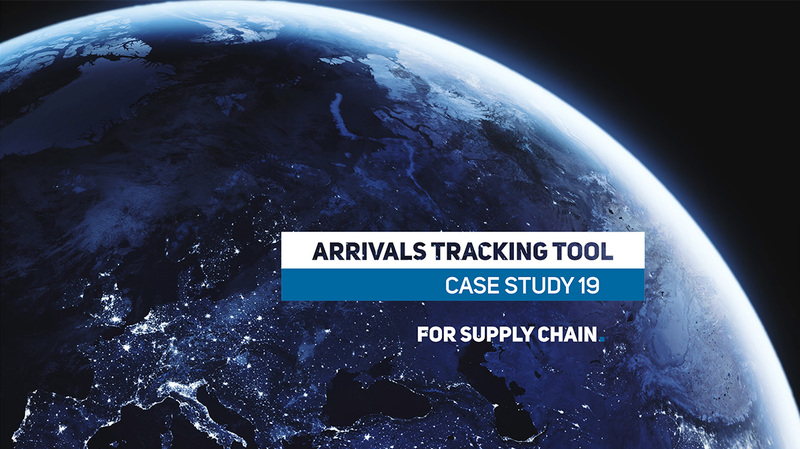 The Arrivals and Loadings Evaluation Tool, which our client asked us to develop for him, brings a complete overview of arrivals of trucks and times of loadings/unloadings. It allows the client to evaluate the situation for each week or month and, if necessary, take appropriate measures in dispatching or warehouse operations. The dispatching supervisor inserts the truck schedule for the next week. The responsible employee from warehouse then opens the loading slots in the tool according to actual warehouse capacity. Any difference between the dispatch plan and the warehouse capacity is immediately visible and it is possible to modify the plan on that basis. Another module of the Tool is used to compare the arrival times of the trucks with the plan. Each truck is tracked from arrival to departure and the difference in minutes is recorded. The client uses the tool for weekly or monthly evaluation. The tool administrator uploads shipment data from the system and all the differences are displayed in clear graphs and tables. The tool can also work in real time. Every employee involved in the process will mark the completion of his part of the process in the app. In such case any delay can be seen immediately. Optimization of loadings and unloadings of goods through practical applications is one of our areas of expertise. We have developed, for example, an Online Application for Truck Loadings Management or Goods Arrivals Advice.